A week after being swept on the road by conference foe and No. 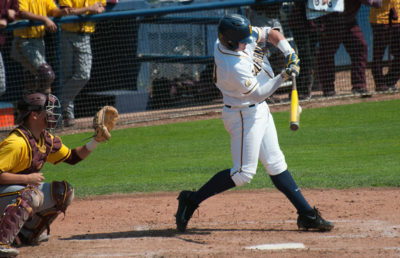 1 Oregon State, Cal baseball returns home looking to undo its recent fall in the Pac-12 standings. And who better for the team to make up their conference woes against than Stanford? The Cardinal got the better of the Bears twice this season, but a hungry Cal squad that relishes playing in Evans Diamond has what it takes to reverse those results this weekend. Cal was sitting third at the Pac-12 table before three losses against the Beavers moved them to fifth place and reduced their record to .500 record. Stanford has surged in conference play recently, winning five of six, and is currently tied for second with UCLA. Those wins haven’t come easy either; Arizona was ranked No. 13 when the Cardinal took two of three at home. Cal can’t boast a win over a top-25 team while the Cardinal can claim seven. Both of the rivals’ matchups this season have been midweek affairs, during a time that the Bears were struggling to find someone capable of a spot start as non-weekend games usually demand. Accordingly, in the first game Stanford did all of their damage early in the game. Freshman Rogelio Reyes gave up three runs in the fourth inning, prompting Cal head coach David Esquer to call in freshman Arman Sabouri. Sabouri’s disastrous stint in which he allowed five runs but recorded only one out gave the Cardinal all the cushion it needed. Stanford didn’t score outside of that single inning, but when eight runs get across in three outs, run support is not really an issue. Of the three relievers who came in after that, two have seen their role reduced greatly and aren’t likely to figure into the upcoming series. But junior Andrew Buckley has been excellent lately, allowing one earned run in his last five innings pitched, and his scoreless frame during the game against the Cardinal may figure into Esquer’s plan. 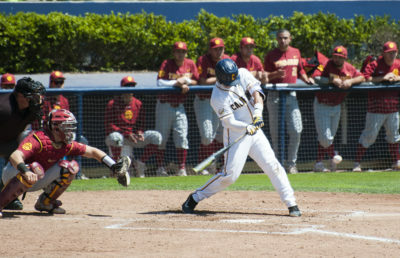 Cal’s biggest performer at the plate last time was, unsurprisingly, star freshman Andrew Vaughn. He knocked in three of the Bears’ four runs and Cal will need him to produce like that again. Vaughn was playing particularly well in conference play early on, but since April 23rd his batting average has dropped almost 25 points. That’s easily explained by road series against a tough Washington team and the aforementioned Beavers, but Vaughn will most likely need another big home series if the Bears are to move up in the standings. The second game followed a similar script, with the Cardinal scoring five runs in the third inning to take a commanding lead. 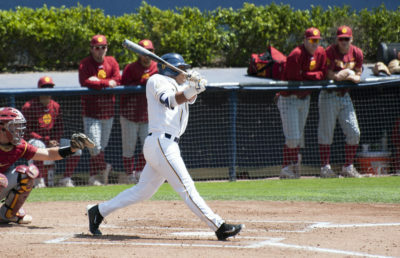 Cal scored four combined runs in the seventh and eighth innings to come close to a comeback, but the end result was a 6-4 loss. Stanford’s starters have been consistent if unspectacular (all four have ERAs in between 3.4 and 3.9), so the Bears’ batters will need to pounce early. Stanford’s first three arms out of the bullpen all have ERAs under 2.65 and can get a strikeout when needed. 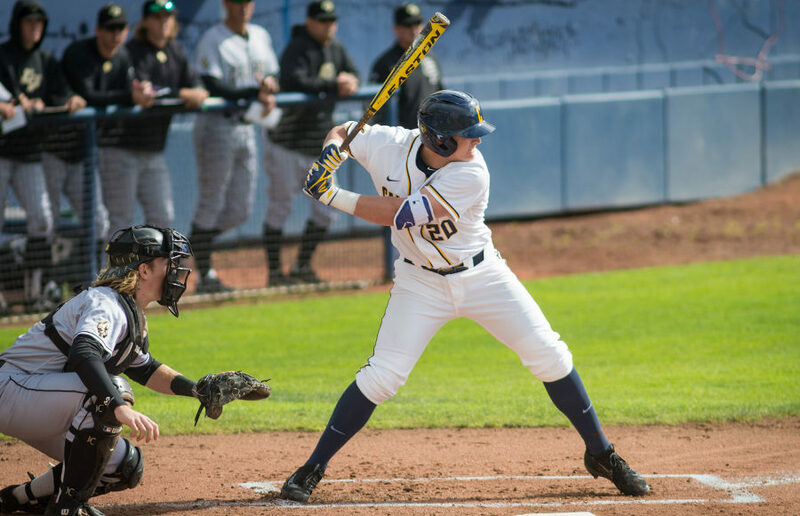 Cal’s offense was propelling a young and unproven team to a respectable record through most of the season, but with just a shade over three runs a game over its last eight matchups, the bats will need to wake up again to end the season well. No better time than at Evans Diamond against Stanford. Andrew Wild covers baseball. Contact him at [email protected]. Follow him on Twitter @andrewwild17.